You can grab a nice deal on snacks at Kroger during the Mega Sale. 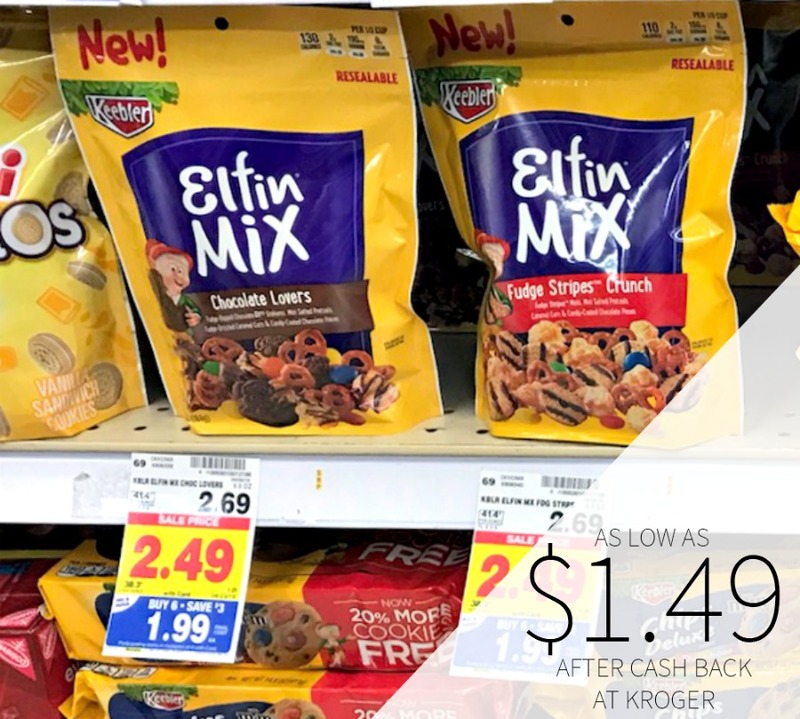 After cash back and mega savings, you can get Keebler Elfin Mix or as low as $1.49. As low as $1.49 after cash back and mega savings. Delicious anytime snacking by the handful. Chocolate Lovers Snack Mix includes mini chocolatey cookies, yummy chocolate candies, salty pretzels and fudgy caramel corn!